Quote: “I think worship is the strongest tool we have in fighting negative messages. You are what you’re filled with. The great thing about music is it is always available. If you feel overwhelmed by this life, you can crank up the tunes and let the Lord minister to you and get refocused,” says lead singer Rick Heil. 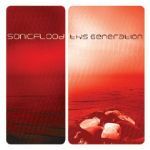 FYI: This Generation contains 10 brand new worship songs from SONICFLOOd. Written by such notables as Pete Kipley, Marc Byrd, Steve Hindalong, Regie Hamm and Heil, this collection of songs brings an original take on worship back to the table. The Bottom Line: A disc full of new worship songs, This Generation should get attention from contemporary worship leaders and SONICFLOOd fans alike, as it sounds closer to the original, fresh-sounding rock worship of early Sonicflood. Where SONICFLOOd’s last record, Cry Holy, fell short through its new arrangements of popular worship songs, This Generation regains any lost ground through its new musical focus including its selection of new worship songs and songwriters, and the expanded production team. The production by Marc Byrd (City On A Hill), Jim Cooper (Building 429) and Dan Muckala (Joy Williams) gives the record a fuller rock sound. Lyrically, these songs take a standard view on worship as they express gratefulness for God’s presence and faithfulness through both cries of unworthiness and words of celebration.